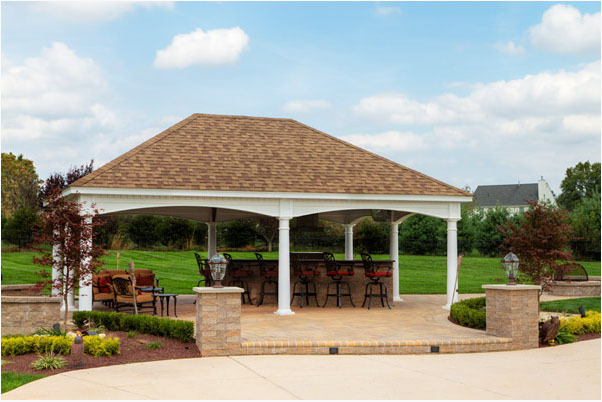 Our Hampton Pavilions are made from #1 grade treated southern yellow pine and sleeved in high quality vinyl. The Hampton comes standard with attractive 10"" round columns with solid wood posts inside. The posts come with powder- coated anchor brackets at the bottom to attach directly onto your concrete pad or a wood deck. 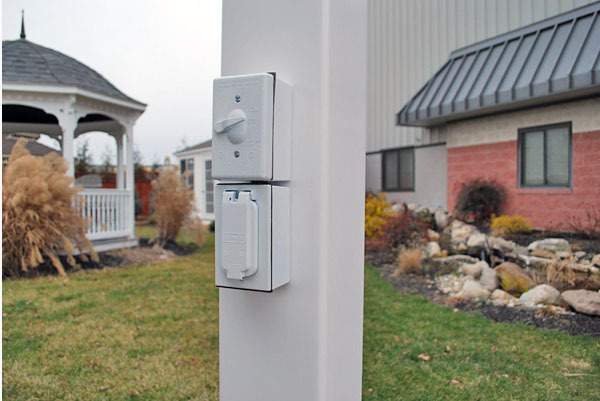 Our decorative post trim covers all the connections for a clean appearance. The arched headers add charisma and are designed to support heavy roof loads, and resist high winds. 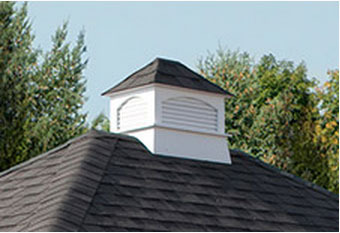 The headers are trimmed with our decorative dental molding and feature a 12"" roof overhang. The ceiling is made of a beautiful 1""x6"" tongue and groove, stained mahogany for a rich appearance. The steeper roof pitch adds character and is constructed with double 2x4 main rafters and covered with architectural asphalt shingles. Our Rectangle Hampton Pavilions are Engineered to withstand 140 MPH Winds and 45 PSF Snow Loads. All this is standard when you choose a Hampton Pavilion for your outdoor retreat.